William is the son of a World War II veteran who served in the Pacific theater, and the nephew of three uncles who served in both theaters of operation, one earning a Purple Heart in Italy. William’s father was fortunate to have the GI Bill to further his education, to be the first to attend college in his family, to obtain a graduate level degree, and to serve as a history professor and later university administrator. Growing up in this environment, William learned early on to appreciate the sacrifice of our soldiers; the experience, wisdom and maturity that service provides; and the unspoken burden that our warriors often carry home with them. He considers this influence early on as a contributing and sustaining force to his ultimate practice of law with the international law firm Troutman Sanders in the areas of commercial and environmental litigation. 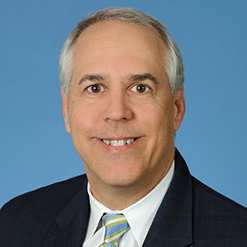 William has achieved Martindale Hubbell’s highest rating for lawyers, is listed in Best Lawyer’s, serves as a Master in the Joseph Henry Lumpkin American Inn of Court, and has appeared pro bono before the U.S. Court of Appeals of Veterans Claims. Graduating from the University of North Carolina at Chapel Hill with degrees in Journalism and English in 1984, William completed his education at the University of Georgia School of Law in 1987. He is a father, an avid sports fan, and lives in Atlanta with his wife, Kathy.